Collins Booksellers - Biophotonics by Matthew Baker, Katherine A. Hollywood & Caryn Hughes, 9781681741352. Buy this book online. Biophotonic diagnostics/biomedical spectroscopy can revolutionise the medical environment by providing a responsive and objective diagnostic environment. 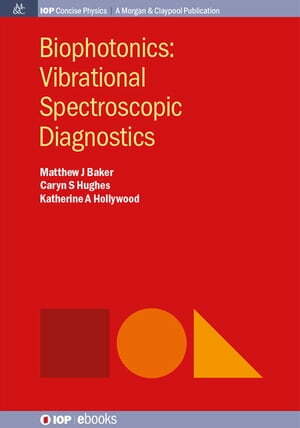 This book aims to explain the fundamentals of the physical techniques used combined with the particular requirements of analysing medical/clinical samples as a resource for any interested party. In addition, it will show the potential of this field for the future of medical science and act as a driver for translation across many different biological problems/questions.